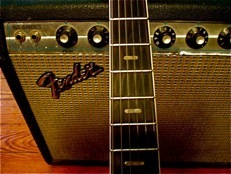 I have been playing electric guitar since late in the Carter years. 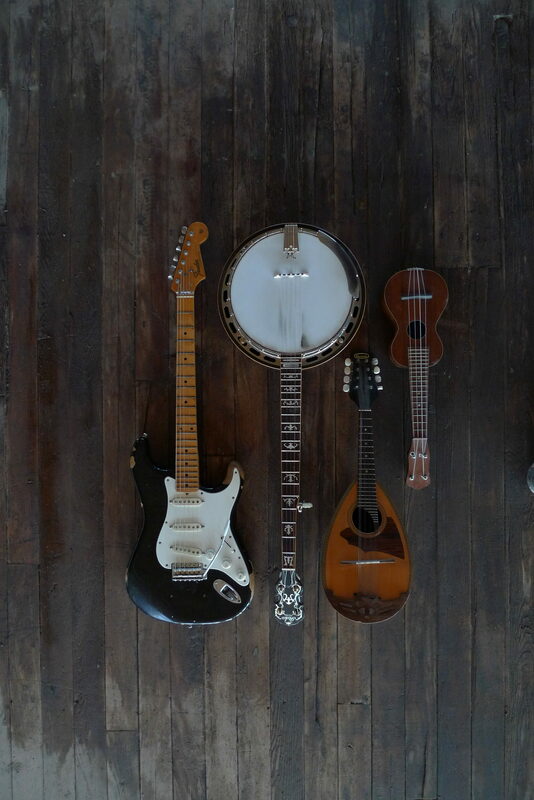 As I have aged and regressed, I enjoy playing styles ranging from blues, honky tonk, early rock, country, R&B, classic rock, metal, funk, punk, noise, and free improvisation. 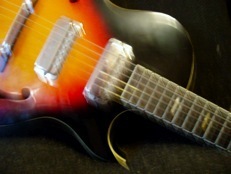 I enjoy teaching fundamental techniques as well as songs representing the full range of rock music, including Chuck Berry, Elvis Presley (The Sun Sessions’ Scotty Moore), The Rolling Stones, The Beatles, Bob Dylan, The Stooges, The Everly Brothers, The Velvet Underground (and Velvet Revolver, upon request), Hendrix, Led Zeppelin, Black Sabbath, Lynrd Skynrd, The Who, AC/DC, The Clash, KISS, Eric Clapton, Yes, Rick Derringer, Blue Oyster Cult, Ted Nugent, X, The Police, Talking Heads, Joy Division, The Ramones, The Knack, Rush, Journey, Boston, Slayer, Metallica, SRV, Guns-n-Roses, U2, The Pixies, Nirvana, through to Green Day, Radiohead, Nickelback, Dave Matthews, Kid Rock and many more bands and solo artists. Hey- I didn’t say I like all these bands (just most of ‘em). Lessons are focused on what the student needs to know and wants to learn—I’m more than happy to teach students exactly what they are inspired by. The lessons are for the students. Theory lessons get determined by what the student’s guitar heroes worked out before they wrote those songs and played those solos. You know which ones. Those ones. 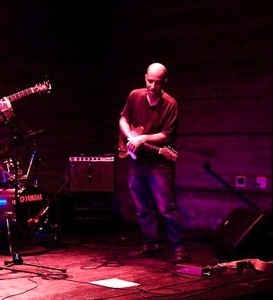 That’s me actively displaying my hairstyle and taking a bow after playing an indulgent solo on my first guitar- a very fake Telecaster straight outta the pawn shop downtown- still a favorite. 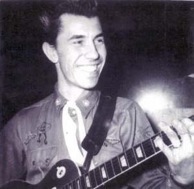 That’s Link Wray—the guy who wrote “Rumble” and a ton of great music I’d be happy to teach you—this stuff is great for beginners or experienced players. 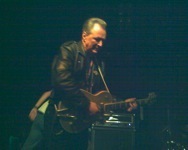 Billy Zoom (from the band X) from a show at the Paradise. I took this with my phone. He was pretty doggone good, and loud too—go figure. I go to a lot of concerts and always end up watching the hands on the guitar- can’t help it.